Association of one organism with another along with the physical and chemical environment at the same time is the basis of any ecology. It is a vast study and includes numerous terms ranging from population of organisms and their communities and diversity, biomass to distribution etc. 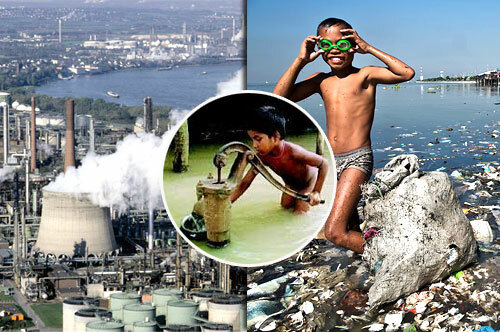 Also it studies environment and its related problems like pollution, acid rain etc. Every system consists of processes and thus, it has also has its own process known as ecosystem processes that include primary production, pedogenesis, nutrient cycling and various niche construction activities. It is an interdisciplinary subject that is a combination of biology and earth science. The term was coined in the year 1866 by the German scientist Ernst Haeckel. The subject explains life processes, interactions, adaptations, movement of materials and energy through living communities and the successional development of ecosystems. It is an inevitable science. It is required for the survival of human species. There are many practical application of the discipline as well, say, conservation biology, wetland management, natural resource management, city planning, community health, economics, basic and applied science and human social interaction. It also studies many kinds of environments. For example – ecologists may study microbes living in a soil under your feet or animals and plants in a rainforest or the ocean. Thus, this is ecology. Generally speaking ecological or environmental issues or problems include land pollution, air pollution, solid waste pollution, noise pollution, soil pollution, greenhouse gas emissions or water pollution. But specifically speaking about the environmental issues, they were never less, ranging from pollution, acid rain to landslides and earthquakes. Recently Kaziranga National Park lost about 84 sq. km. due to erosion caused by river Brahmaputra. This has resulted in the shortage of Rhinos. Other recent ecological imbalance includes heavy rains in various cities of India including Mumbai and Hyderabad which caused felling of trees, water logging, traffic jams, in fact, heavy rains wreaked such havocs that water drained even inside residences. On one hand some birds and animals are on the verge of getting extinct and on the other hand some animal’s population increasing day by day. For example – one more ecological problem highlighted that population of elephant’s increasing day by day. Another issue includes Ganga project wherein there is a lot of debris. Committee has been formed to take decisions and that need to get cleaned as soon as possible. Also, these issues are simultaneously causing health issues like asthma, skin diseases etc. and impacting long term livelihood of people in India. There are various reasons for this problem to arise. Say, one problem is urbanization. Urbanization refers to moving from rural areas to urban areas. Shifting from one place to another means enlarging of population at one place. Now this leads to various other problems like increasing traffic day by day on roads due increase in number of vehicle per person and this leads to air and land pollution as well. Now to dwell in a city means having big houses but for big houses there should be that much space as well which is not there and people are forced to live in slums. This causes many other diseases as wastes from these slums cause pollution for air, water and land and social problems. Also, these are epidemics and diseases in congested and over-crowded localities because in such areas these are poor civic and hygiene facilities. For this purpose even agricultural land is used sometimes which is in itself a big issue. Another reason in the pipeline is the high quantity of exhaust gases in the air released by industries that are highly harmful to the environment. Major gases among them are carbon dioxide, ammonia and nitrogen etc. Deforestation is another one which refers to cutting of trees in a mass number covering the world. Cutting of trees leads to many problems as when they become less in number cleaning of environment and rain patterns are affected. These were the major reasons but apart from these are there are still plenty of reasons that contribute to environmental problems like unprecedented construction, superfluous land policies, chemical effluents etc. Recently announced by the ruling Party, the Ganga clean-up project, is supposedly a better solution for our sacred river. The plan is to treat the untreated sewage by emptying it from the river. The first step would be to set up a giant sewage treatment plant. The treated water should go into a lake from which water can be drawn for agricultural purposes. Moreover, all sewage lines from the city and surrounding areas would connected to this treatment plant. Another concept that came into highlight nowadays is to clean beach pollution and people are really worried about it but only those who know about it, many are not even aware about it and many campaigns are on the run to create awareness among people about the same. Another solution is to amend the laws that governs environment. Environment (Protection) Act, 1986; Forest (Conservation) Act, 1980; Wildlife (Protection) Act, 1972; The Water (Prevention and Control of Pollution) Act, 1974; and The Air (Prevention and Control of Pollution) Act, 1981 will be under the scanner. Climate summit takes place every year and India plays a major role and make remarkable contributions to it. Other important measures include focusing on tea cultivation, conserving bird sanctuaries, measures to control pollution etc.